An Egyptian billionaire's offer to buy an island for refugees is closer to becoming reality. Naguib Sawiris, one of the region's wealthiest men, said he has identified two privately owned Greek islands that would be well-suited for the project. "We have corresponded with their owners and expressed our interest to go into negotiation with them," Sawiris said in a statement. His idea to create a safe haven for the refugees was first branded as ridiculous by some, but Sawiris said he has received "tons of expressions of interest" from potential donors. "I'll make a small port or marina for the boats to land there. I'll employ the people to build their own homes, their schools, a hospital, a university, a hotel," he said, adding he could employ between 100,000 and 200,000 refugees. Sawiris, the chief executive of telecom group Orascom TMT, said he would name the place "Aylan Island," in the memory of the Syrian toddler Aylan Kurdi, who drowned earlier this month trying to reach Europe with his family. Photos of his lifeless body washing ashore in Turkey sparked a wave of solidarity and outrage over how Europe has been handling the refugee crisis. "It's the picture of Aylan that woke me up," Sawiris told CNN. "I said -- I cannot just sit like that and just do nothing, and pretend it's not my problem." He is hoping to get more donations towards the project by setting up a joint stock company with $100 million initial capital. "Anyone who will donate will get share in the company, thus becoming a partner in the island and in the project," he said. "This way, any money put in will not be completely lost, as the asset (the island) will remain," he added. 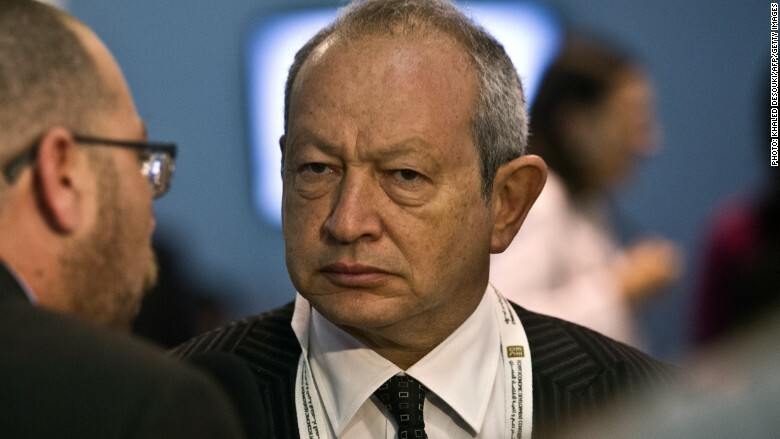 Sawiris said he is now seeking the Greek government's permission to go ahead with the project. Greek authorities said they have yet to receive a formal request. Sawiris said he was also approached by the UN High Commissioner for Refugees, the world's leading body helping refugees, in order to discuss other ways of possible cooperation. Sawiris is one of Egypt's best known businessmen, with a net worth of around $3 billion, and also founder of a political party. He comes from a family of entrepreneurs; his brother Nassef is chairman of Orascom Construction Industries, one of Egypt's most valuable publicly traded companies.